True story. Passing a LBS today, I dropped in to see if I’m missing anything in terms of little cx bikes. And there was an LBS-guy who knew about cross, that their brands don’t come small enough, and that other women have had the same issue. Impressive. CX is a new category for Aussie bike shops, and as with road we can only hope the big brands might add a smaller size to the range every couple of years. It just doesn’t help those of us who missed out on the tall genes. Giant plans to have one in the 2013 range but I haven’t seen the geometry yet. 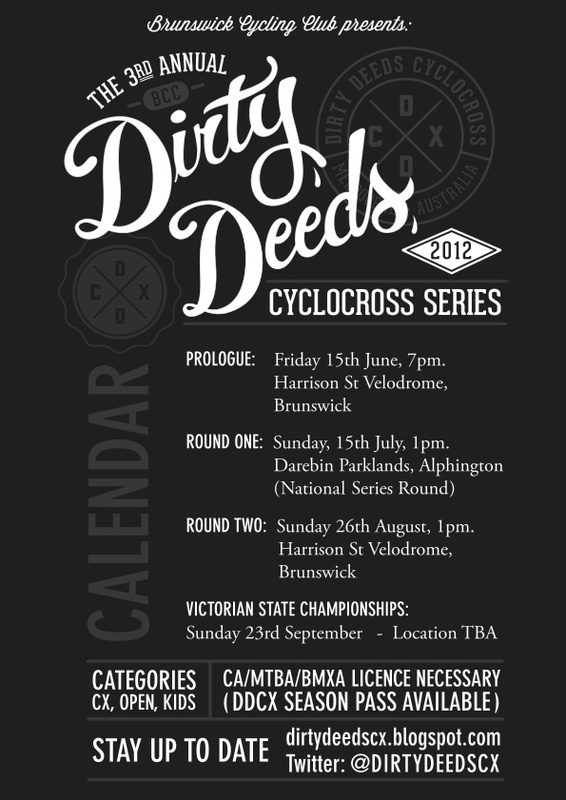 Around 25 per cent of the B grade women at the Coburg round of Dirty Deeds last year were on petite custom frames or custom builds. This LBS excitement is the fourth sign this week that cross has really arrived down under. First, portable barriers appeared in the park on Monday as part of someone’s sekrit training. And no, I’m not saying who. And third, news from Cyclocross Magazine that Katie Compton will start her season in NZ. That’s practically interstate! This entry was posted in Uncategorized and tagged cx, DDCX by quaddess. Bookmark the permalink.